With fall quickly approaching (I’m still a bit in denial! ), this is the perfect DIY for back to school, or that perfect autumn outfit! 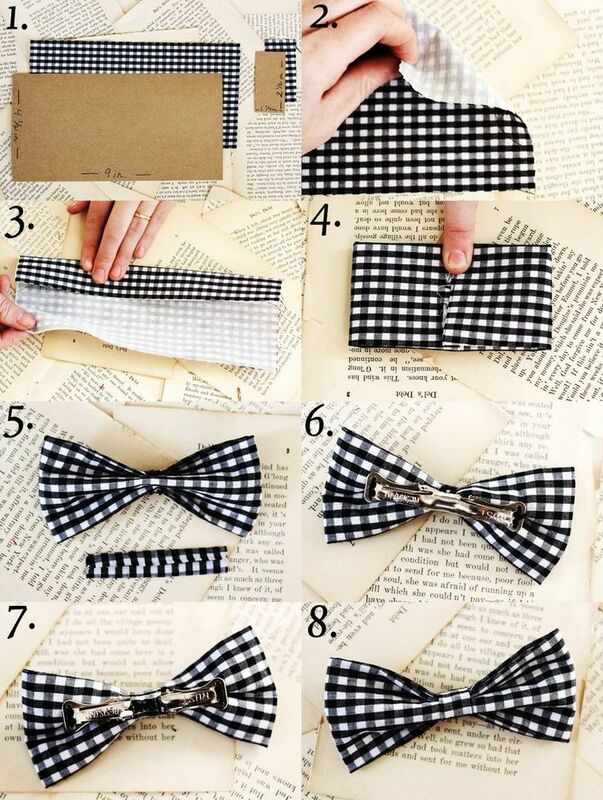 All you need is a cute fabric of your choosing, a bow tie clip, scissors, and a hot glue gun. Happy DIY-ing! As you all know, around here we love to add new life to old things – clothes in particular. Why go spend a bunch of money when you can create new clothes right at home?! 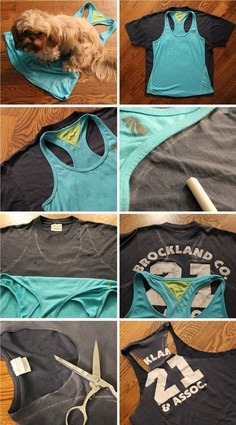 For this DIY, you’ll need chalk, an old tank top (for the outline), an old beloved t-shirt, and some scissors. Thanks to Pinterest for this awesome idea! The collar is something that is being played up more and more – especially for the fast approaching fall season. There are even collar necklaces out there – which I happen to love! This DIY takes an old unused thing (CD’s!) and dresses up a shirt to look like new! Take some old CD’s, and soak them in water for 10-15 minutes. Take them out of the water and with a pair of scissors, begin to cut your CD into pieces, as big or as small as you’d like. As you cut, you’ll notice that the CD will start to separate, there will be a holographic layer and clear layer, throw the clear layer away and only use the holographic pieces. Arrange the pieces first on the collar before glueing. Then using a super glue, or embellishing glue, apply glue to the bottom side of piece, place it on the collar and press firmly. Do this until the collar is covered. This project is easy-peasy! It takes just five minutes and all you need is a t-shirt, fabric paint, scissors, a sponge, a cup and tape! 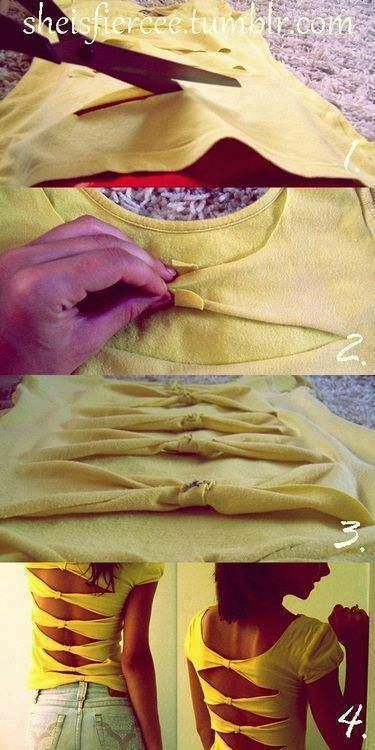 I plan on doing this to most of my plain tee’s. 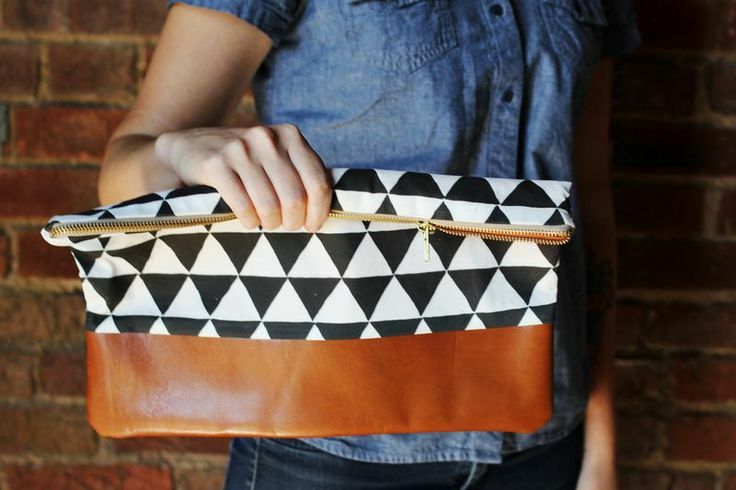 Bold patterns, leather, and DIY. Could it get any better? Nope! Supplies: Leather, patterned cotton fabric, solid lining cotton, 18 inch zipper, scissors, sewing machine.